"What day is it?" We ask that all the time without any sense of amazement, but this ordinary question can trace its roots 5,000 years into the past. Ancient Babylonians first created the week, dividing it into seven days. Each day was named for one of the seven known moving bodies in the sky: the sun, the moon, Mars, Mercury, Venus, Jupiter and Saturn. The Babylonians believed that each of these heavenly objects influenced people's lives on the days named for them. "Mars Day" was Tuesday. Because of the planet's red color, the Babylonians associated Mars with Aggression and performed special ceremonies on Tuesdays to avoid the fearsome influence of this warlike planet. Mars Day is Still Tuesday, 5,000 years later. "Tuesday" may not seem like it's related to Mars, but it is! "Tews" was the English name for the god of war. 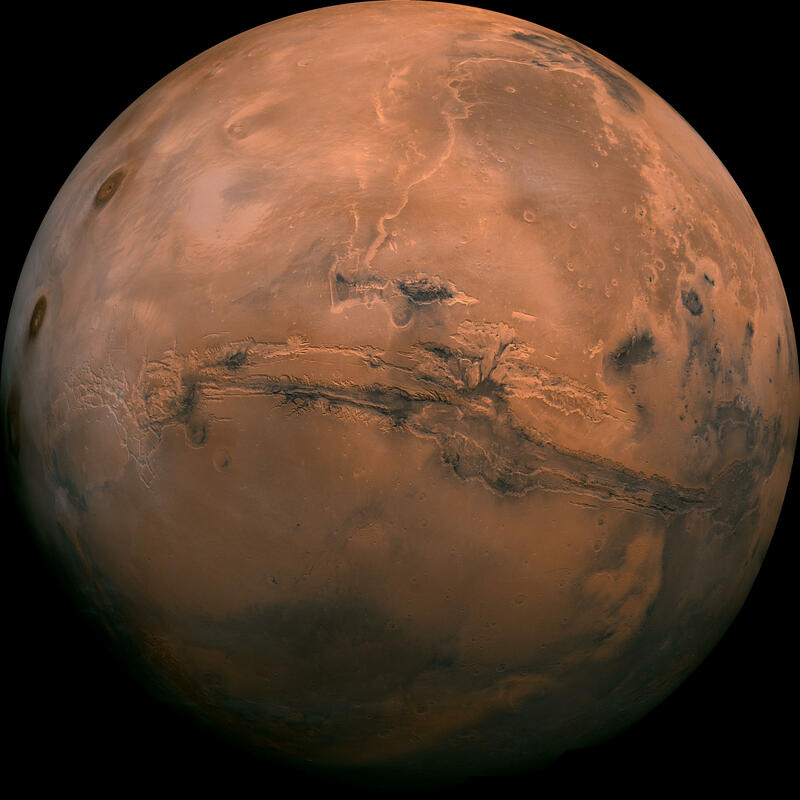 The Month of March Belongs to the Red Planet Too! We think of New Year's Day as January 1st, but it hasn't always been that way. 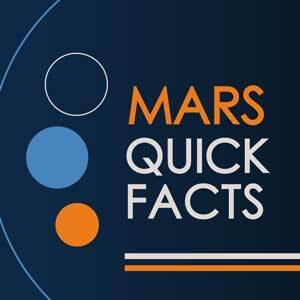 The Roman god of war was known as Mars, a name we still use today for our neighboring red planet. From Roman times until recent centuries, March had the honor of beginning the new year because it was seen as a time of renewal, when the cold gave way to spring. Roman warriors set on expanding their empire couldn't help naming this month for their god of war because warmer temperatures and melting snow allowed them to start up their battles in full force again. March may "come in like a lion" today, but the month is far less bloody than it once was! Mosaic of the Valles Marineris hemisphere of Mars projected into point perspective, a view similar to that which one would see from a spacecraft.